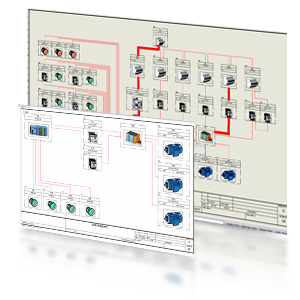 With a consistent, powerful, intuitive set of electrical design capabilities fully integrated with the SOLIDWORKS solution portfolio, designers can establish an integrated design early in the design process and avoid costly design rework. SOLIDWORKS Electrical Schematic Standard is a powerful, value sensitive, stress-free, easy-to-use single user schematic design tool which helps rapid development of embedded electrical systems for equipment and other products. Providing an extensive level of automation allows the user to streamline and simplify an array of tedious design tasks, from terminal block to contact cross-reference assignments. Built-in and web-enabled libraries of symbols and manufacturer part information provide common re-usable materials optimizing design re-use. SOLIDWORKS Electrical Schematic Standard is ideally suited for electrical designers who utilize office and generic 2D CAD tools for electrical design and who want to increase the speed and accuracy of the electrical systems in their products. The easy-to-use interface and automation eliminates common errors and will get products to market faster and error free. Demonstrated at SOLIDWORKS World 2016 in Dallas, Texas, SOLIDWORKS Electrical Schematic Standard is a key addition to the SOLIDWORKS 2016 product portfolio. Nearly three million customers worldwide now have access to the only 3D design portfolio addressing all aspects of the product development process including design, simulation, electronic, electrical design, product data management and technical communication. Do you need to purchase SOLIDWORKS or update your product license? 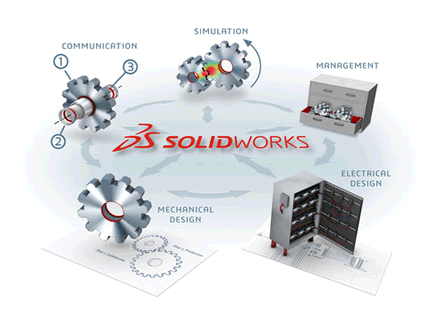 TriMech can provide a quote as well as the SOLIDWORKS software solution that best fits your design needs.